Savvy Spending: Amazon: Van Heusen Men's Big and Tall Polo shirt for as low as $5.52! Amazon: Van Heusen Men's Big and Tall Polo shirt for as low as $5.52! Here's another Father's Day gift idea on Amazon! 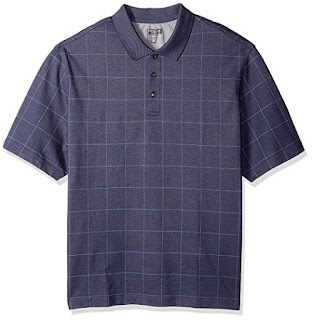 You can get a Van Heusen Men’s Big and Tall Polo for just $5.52 (regularly $60)! Note that the price will vary depending on the color and size you choose.